In a rotation system, the five EMiLA partners take turns to organize this workshop, which is held once a year. Approx. 25 students and their teachers from the five EMiLA institutions work in international teams on topics of European landscape architecture. In addition, selected non-European universities are invited to take part in this 5- to 10-day workshop. The themes of the EMiLA Summer School are decided on in close consultation with the regions where pressing issues need to be worked on. In all our Summer Schools we co-operate closely with regional stakeholders and non-specialists and speak with planners and residents. Each Summer School has a specific topic, focus and way of working. All EMiLA institutions and their students benefit from the variety of design methodologies as it leads to a continous improvement in teaching quality. How the Summer School is integrated into the EMiLA curriculum can be seen here. The Summer School “Old country for new people” was held in the region called “Altes Land” in northern Germany, which is located near the estuary of the River Elbe and has a background of changing water conditions. The main focus was to envision future land use(r)s and to develop scenarios for the region’s traditional fruit production. The Edinburgh College of Arts invited students and teachers to work in “Scenario Games” on the remote Orkney Islands. The groups worked on topics such as Coastline, Hinterland, Settlement, Energy and Archaeology and worked on the question of how landscape architecture can help to integrate these uses in this fragile landscape. 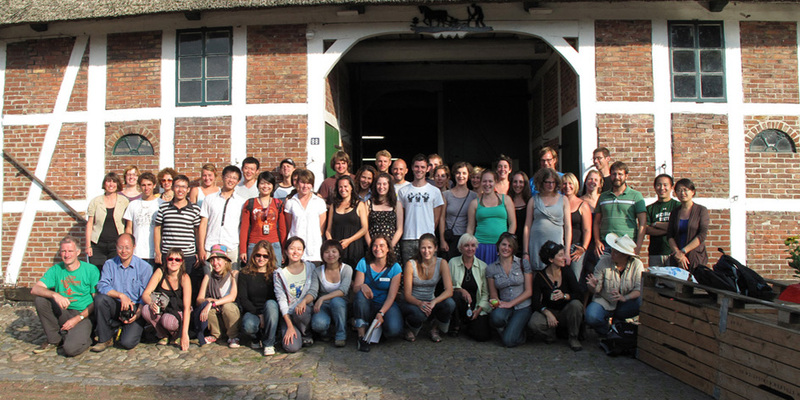 A year later, the EMiLA team and students travelled from Amsterdam to the North-East Netherlands. This region has to deal with the ambivalence of being a small-scale, traditional landscape that is faced with the changing demands of agriculture. The students worked on solutions under the topic “Conservation through development” on ideas for the landscape’s future identity. In 2012, the EMiLA Summer School was invited to the Catalan coast to work on the topic of “The duality of tourism and landscape”. While the coastline is under pressure from tourism, the “second coast” some kilometres behind the sea is seaking its own identity as well as tourism and natural development. Regional stakeholders were closely integrated into the student’s work on new concepts for the landscape. The “Haute Normandie” north of Paris was chosen to produce renewable energy for the region of Paris. Students were challenged to design concepts for the “Energy landscape Haute Normandie”. The international teams envisioned ideas that integrate energy production into the historical cultural landscape, the river landscape and the coast. The “Central Ammerland”, where the Summer School took place a year later, is an agricultural and touristic landscape. Many demands such as agriculture, nature conservation, infrastructure and peat extraction require more land. In a project entitled “Running out of land – Designing strategies for Ammerland’s competing land use demands”, students and teachers worked on integrative concepts for this cultural landscape in close consultation with regional stakeholders. The Edinburgh School of Architecture and Landscape Architecture entitled their workshop “Think landscape inside the box”. Students worked on 9 squares from the north to the south of Edinburgh. Taking different approaches students analyzed and documented their landscape experiences and presented the results in a public exhibition.